As a locally run, second generation, family business we are keen to help out charities in any way possible. Over the years we have supplied everything from a few chairs for a fund raising evening, to marquees that hold 400 (or more) guests for Balls and Gala Evenings. We know that fund raising is of paramount importance and therefore we are always keen to keep our costs as low as possible whilst still providing a comprehensive and quality service. 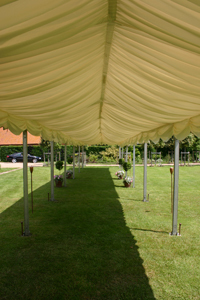 This is where we can help you.Many charities would like to hold a large fund raising event but find it difficult to begin.With the aid of local contacts that we have set up over the last 30 years we can organise everything from an attractive private setting through to the marquees, catering and lavatories thus keeping overheads to a minimum.